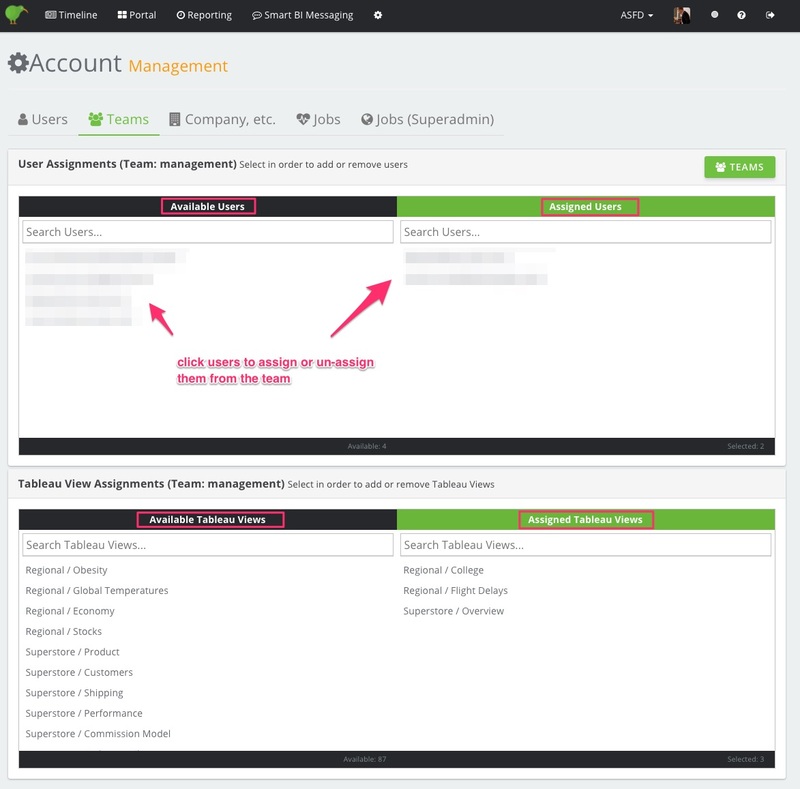 Assign user roles, create and assign teams and set viewing permissions. First, User Roles determine a general level of "what can you do and see": Admins can obviously see everything and can do everything. 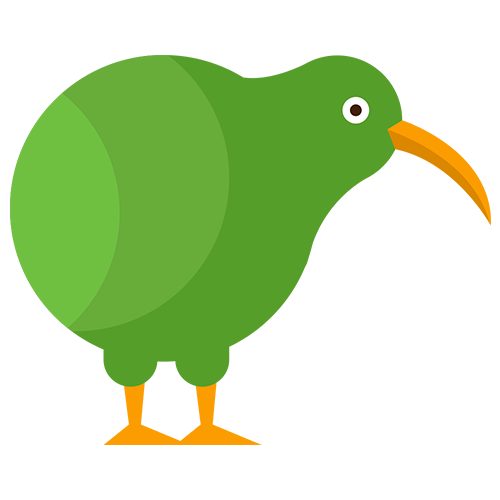 Internal users can access the Kiwi Web App and use their own settings, External users are plain receivers and can not log into the Kiwi app. Second, Team Settings determine the Tableau access permissions on a more granular level. The access to Tableau Views works by simply assigning users and Tableau Views to a team. Users can only access the reports which are assigned to the team or teams in which the user is a member of. The Kiwi Permissions only regulate the access to Tableau and not the visibility once its published into Slack. Once someone published a Tableau report in Slack, everyone within that channel can see it. NOTE: By default, all Tableau Views that you import to Kiwi are initially set to private and thus not accessible within Kiwi by any other users than admins. Admin Users: see everything and are allowed to create and change team permissions. They can create, edit and delete anything within Kiwi and can connect or disconnect Tableau accounts. Internal Users: can access the Kiwi App and create their own scheduled reports themselves. External Users: are just plain receivers. They can not create anything within Kiwi. As part of a Team, they can get access to Tableau Views within the Slack BI Self-Service. Sign in to Kiwi Admin Portal and go to Settings > Teams. By default, you will see only one team called "Public". As you can see all users are assigned to the "public" Team by default. Yet there are no Views added to the "public" team without you doing it. To create a new Team click on the "New Team" Button on the right side of the screen. Enter a name for the new Team e.g. "Management" or "Sales" and hit OK.
You will see the following Team-Detail page where you have got two panels below each other. The first panel shows all available users of your company on the left side. On the right side of the panel are the users displayed who are assigned to this Team. To assign a user to a Team, just click on the name of the desired user to move the name to the right side of the panel. The second panel shows all available reports on the left side. On the right side of the panel are the Views displayed that are assigned to this team. hence will be visible to the users of the Team. To assign a View to a Team, just click on the name of the desired View to move the View to the right side of the panel. NOTE: The user who creates a Team will be the Team-Owner and can not be removed from the assigned user list. You can also create Teams by selecting users of your company on the Users tab and click on the "New Team" button. The previously selected users will be added to the Team. In general, Tableau views imported into Kiwi can be "private", "public" or have custom permission tags assigned to them. 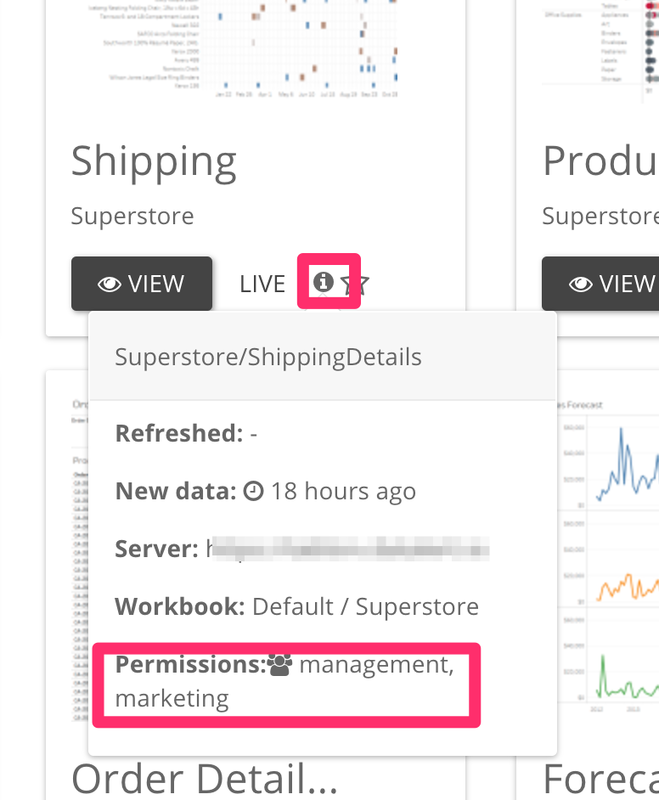 To see which permissions a view currently has, go to the view in the Portal and click on the i Icon. Please note that access permissions only affect the visibility and interaction within Kiwi. It does not enforce who can receive a view via E-Mail or see it within a Slack channel.